As is to be expected, Berlin’s cityscape has many landmarks relating to the Third Reich, World War II and the ensuing Cold War. 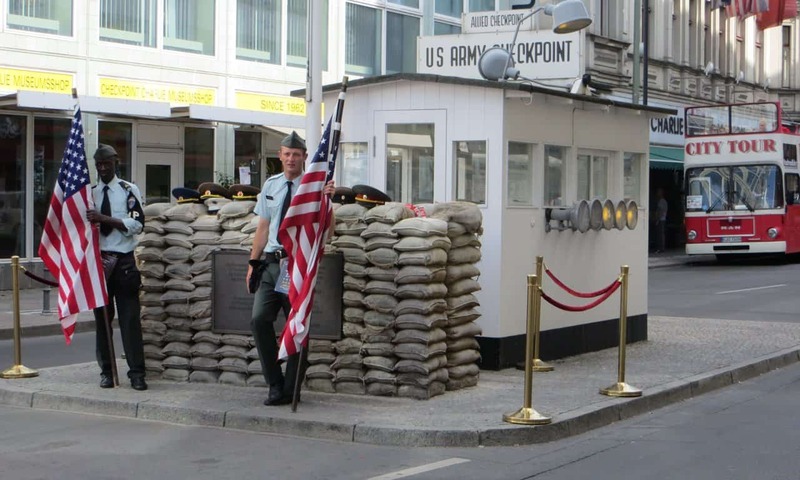 Many of these, such as Checkpoint Charlie, are amongst the city’s most popular attractions. 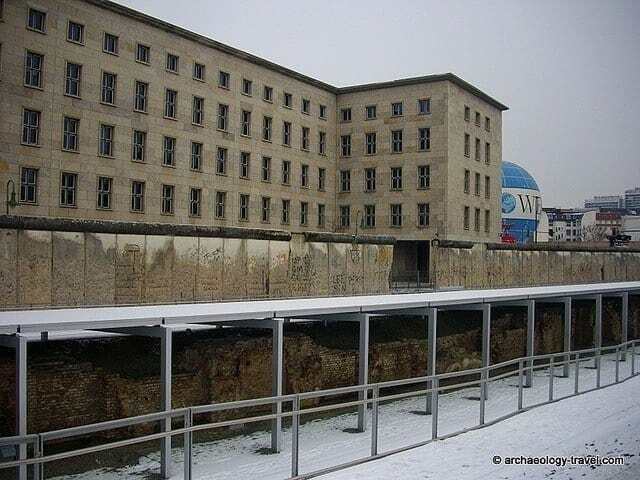 A more recent addition to the various monuments and memorials people visit in Berlin associated with this period of history is Topographie des Terrors – the very centre of the Nazi’s persecution machine. Checkpoint Charlie, as it appears today, was the most well-known crossing between East and West Berlin. Towards the end of January I decided on a five-day indulgent weekend break in Berlin to explore the museums on Museuminsel. The weather was bleak. But I was there for the museums, in particular the Cleopatra exhibition in the Neues Museum. On the Sunday, 27 January, I took a break from the museums to take a walking tour of the historical landmarks from the Prussian era to the second World War. Appropriately enough it was International Holocaust Remembrance Day. The Reichstag building was fully restored after German unification in 1990, completed in 1999, having been destroyed by fire in 1933. 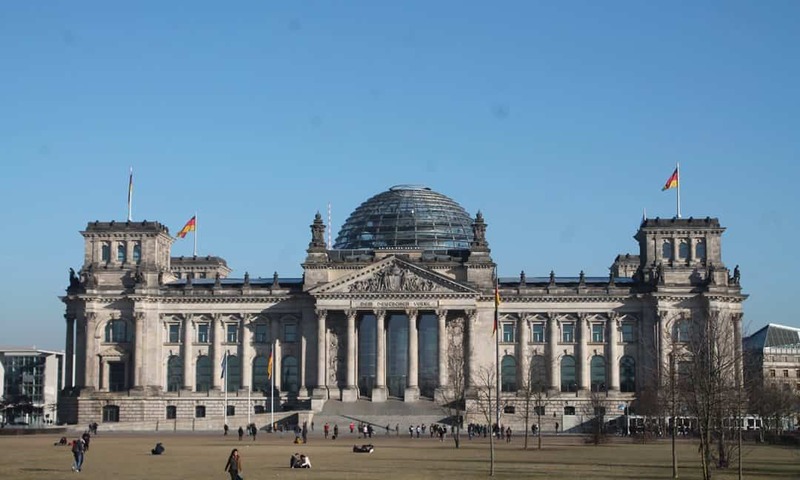 Starting in front of the Reichstag, the half-day tour proceeded to the Brandenburg Gate, Pariser Platz, Hitler’s bunker, the former Nazi ministries and Checkpoint Charlie. A number of memorials have been erected in this area, but two stand out in my memory: the Memorial to the Murdered Members of the German Parliament and the memorial to the murdered Jews of Europe. They are both very simple monuments, despite being hugely different in size, but they are both powerfully poignant in their simplicity. During the 1930s and 1940s 96 members of the German parliament were persecuted and eventually executed by the National Socialists. This monument (above), placed in front of the Reichstag where the German Parliament meets and dedicated in 1992, is a memorial to these men. The Memorial to the 96 murdered members of the German Parliament is located in front of the Reichstag, Berlin. The Memorial to the Murdered Jews of Europe is a memorial in Berlin to the Jewish victims of the Holocaust. Although also simple, the Memorial to the Murdered Jews of Europe is understated on a much larger scale. This monument, comprising 2711 concrete stelae of different heights (from 0.2 to 4.8 metres) but identical widths and lengths (2.38 metres long, and 0.95 m wide), covers an area of 19,000 m². As with monuments and memorials anywhere, this one had its fair share of controversies. The leader of the Jewish community in Germany thought it was unnecessary, obviously those who campaigned for it did not agree. The design was, and still is by some, considered inappropriate; but so were many others submitted. The most divisive aspect of this memorial’s construction was the company chosen to produce the anti-graffiti coating. A subsidiary of Degussa had been involved in the production of the poisonous gases used in the gas chambers at the Nazi concentration camps. It was decided that the project was already far too advanced to change suppliers. If this affair shows us anything, it is how the past is so intricately bound up with our present. As thought-provoking as these two memorials and their histories are, I was in prepared for their stories. After all I knew quite a bit about this period of the world’s history. And growing up in southern Africa, I am not that naive to think such emotive monuments are free of conflict. I was not, however, prepared for Berlin’s Topography of Terrors. On first approaching this stop on our walking itinerary I thought it was a building site. With thick layer of snow, and only a simple-looking building at the centre of a seemingly empty plot of land, it gave the impression of being a building site in progress. 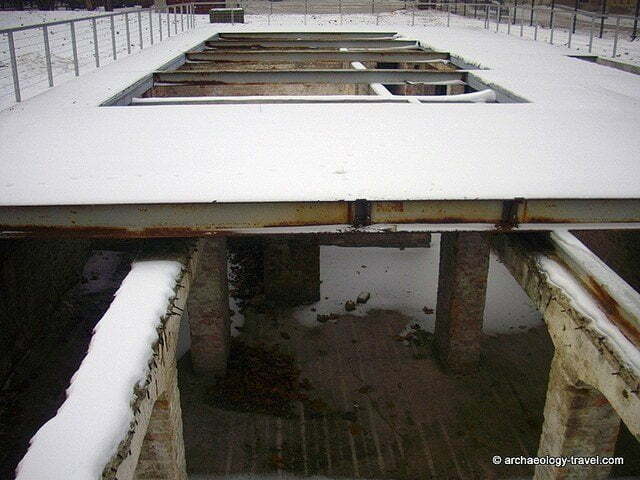 In January 2014 there were many building sites in and around Berlin. Approaching the site and listening to out guide, my focus was on the remnant of the Berlin Wall. Our guide was just telling us that this was the longest stretch of the Wall still standing. Below this section of the wall, the basement of a building has been exposed. And then we were told those were the remains of the headquarters of the Secret State Police (Gestapo). The Reich’s SS Leadership, the Security Services of the SS and from 1939 this is where the Reich has its main security offices. Also on this site, was the Gestapo’s ‘house prison’, which held an estimated 15,000 political opponents to the Nazi Regime – the names of only 3,000 are known. The blanket of snow aside, it was chilling to think that between 1933 and 1945 I was standing on the land on which the atrocities of the Nazis were planned, and in the case of the persecuted prisoners, this is where their gruesome torture and execution was carried out. Excavated basements of where the Nazis carried out their torture. Looking into the cells of the ‘house prison’. After the war the buildings were flattened, along with many other buildings that could serve as a reminder of the Nazis and their reign of terror. It was the impending commemoration of Berlin’s 750 anniversary in 1987 that sparked interest in the site and its history. The interest that the preliminary exhibitions created for the anniversary raised prompted excavations of the site. 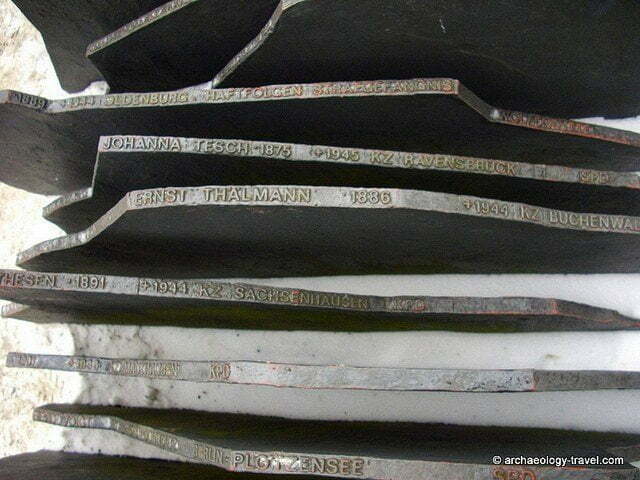 The cellar of the Gestapo’s prison was exposed and turned into an open-air memorial and museum. Subsequently, following German reunification, a foundation was established in 1992 to care for the site, and to manage a documentation centre to record the events that took place there. It is one thing knowing about what took place in Germany and Europe during the 1930s and after, it is an entirely different experience to stand where much of that terror was orchestrated. In a somewhat sombre mood our small group headed off to the next stop – Check Point Charlie, and a Bratwurst snack. And then on to the Gendarmenmarkt and Bebelplatz, finishing the guided tour by going back in time to the Prussian era of Berlin. Topography of Terrors is open daily from 10.00 am to 18.00. Entry is free, but there is a charge for the guided tours (minimum of seven people required) of the site, which are available in Dutch, German, English, French, Hebrew, Italian, Polish, Russian, Spanish, and Turkish. 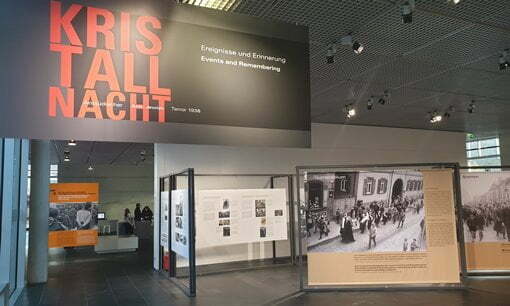 Besides the chilling remains of the buildings, the Foundation also hosts temporary exhibitions as well as providing a documentation centre about National Socialism and its atrocities. 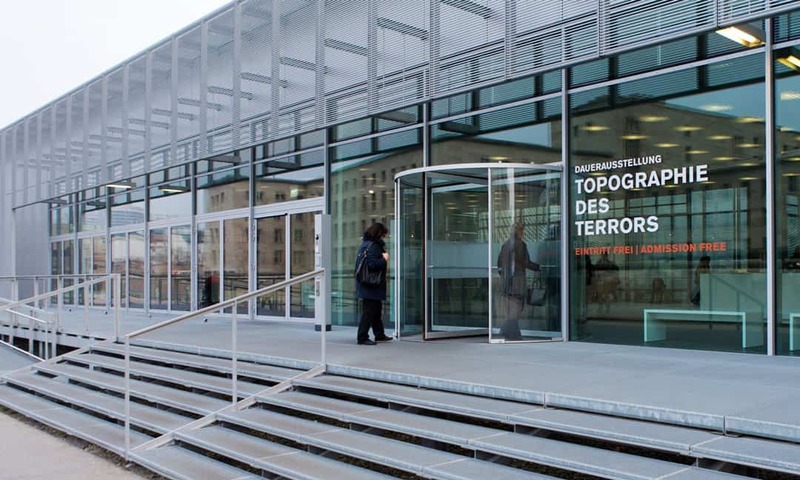 For more details, visit the Topographie des Terrors Foundations website. 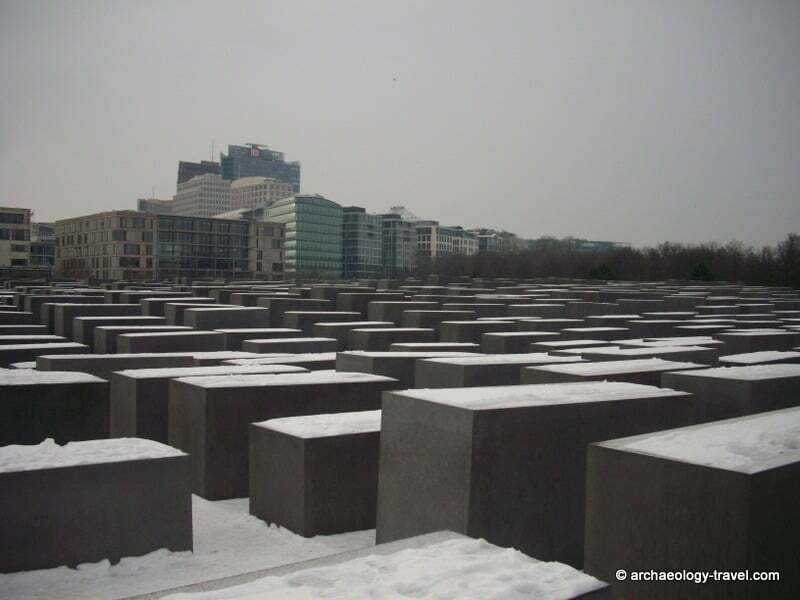 As you can imagine there are a number of guided tours of Berlin that take in the sites and memorials associated with World War 2, the Holocaust and the Third Reich. The itineraries of many of these include a tour of Topography of Terrors. And although walking tours of Berlin’s historical landmarks are popular, there are other types of guided tours: segway tours, jogging tours, nordic walking tours, bike tours – Find Your Tour On This List.